A native of Superior is “migrating back,” with his family-owned business, Superior Tour Company, housed in the Picket Post Antiques store located in his hometown. Mike Alvarez opened the business “a little over a year ago,” using his knowledge of the area he grew up in to lead both in-town and back-country tours. The history of Superior “dates back to the late 1880s with its roots in silver then copper and now a great location to visit,” according to the company’s website, superiortourcompany.com. Located in Arizona’s Copper Corridor, Superior is the “next ‘biggest’ small town,” and offers shopping, dining, relaxing and touring. 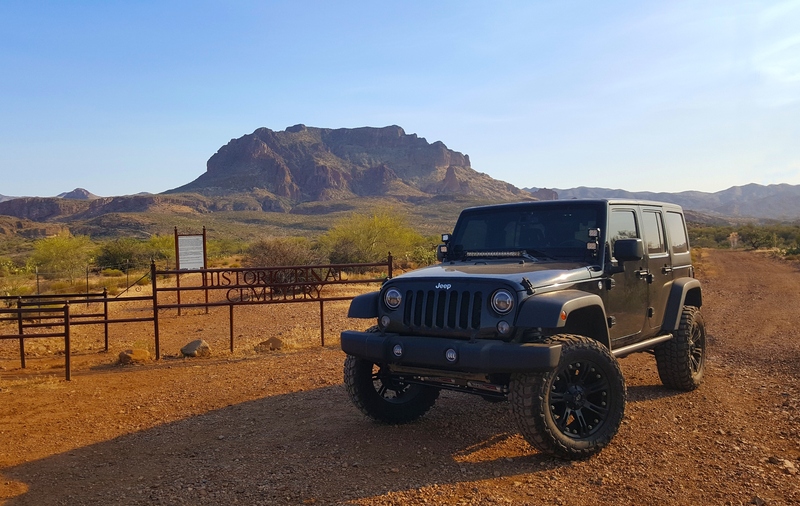 With a permit from the Tonto National Forest, the Superior Tour Company off-road jeep tours, take people to places where “their vehicles may prevent them from going,” Alvarez said. The tour company offers several off-road routes, “some of them rougher, while some are more historical,” he said. 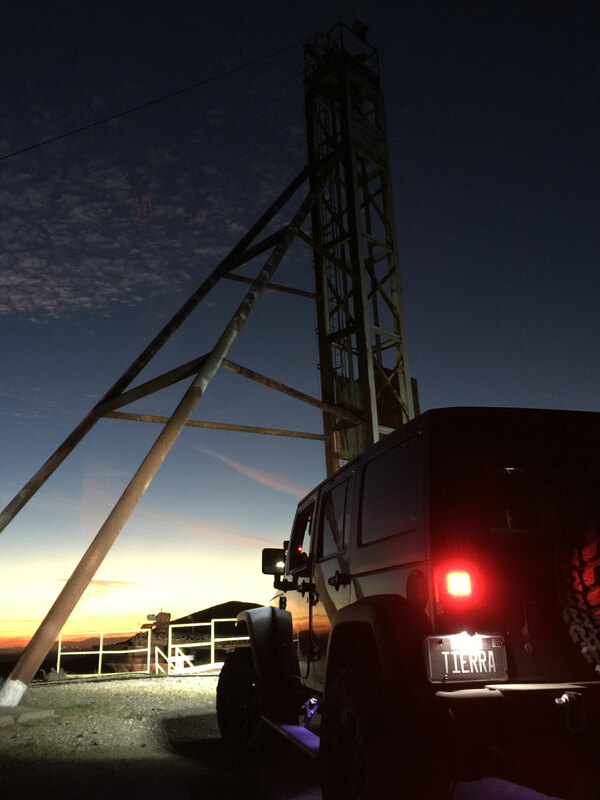 One of the company’s most popular jeep tours takes customers to the historic Silver King Mine, which is on private property normally blocked off to the public, Alvarez said. Now inactive, the Silver King is famous as Arizona’s richest silver mine, producing about $42 million worth of silver ore between 1875 and 1900. Described as a “mild off-roading adventure,” customers can learn about the mine’s history while taking in the scenery that surrounds it. tour to beautiful Oak Flat is another one that combines both scenery and local history. The Picket Post tour, which is four-wheel drive, takes customers to the back side of the “majestic Picket Post Mountain,” where they can also take in the scenery. All three of the company’s jeep tours last about 90 minutes. The company’s most popular tour lasts about two-and-a-half hours and includes the Silver King Mine, the Historic Pinal Cemetery and the Wagon Tracks all in one trip. Alvaraz said that another old cemetery — the Silver King Cemetery — is “a short hike from a Jeep stop” on the tour. The Superior Tour Company has also recently introduced its new in-town touring option. “We will provide a quiet, intimate tour of the town, provide historical information and points of interest in an all-electric golf cart,” Alvarez said. The tour through the streets of Superior stays on the older, historical side of town, north of Highway 60. It is by appointment only and details are available on the company’s website, Alvarez said. Nighttime tours are also available for ghost tours or celestial events. “Why not a whimsical, nostalgic, adventurous, quiet, peaceful, spontaneous, romantic, star gazing-type of night tour?” the website states. If none of those are to your liking, the Superior Tour Company also offers custom tours. Contact the company at 480-892-5505 or go to superiortourcompany.com for prices and further information.